These albums are great value for money and perfect for photographers who need to display a small number of photographs. 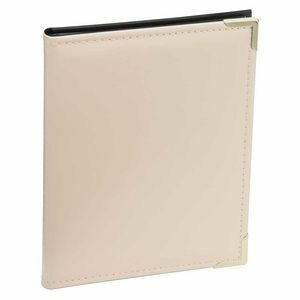 Designed to take 36 7.5 x 5 inch photos the leatherette range of compact albums, are great for proof shots or selected photographs that require a professional finish. These classic albums have clear, high quality slip in plastic pockets, with a black insert, which stops the photographs form sticking to each other. They measure approximately 8.2 x 6.2 inches overall height by width and has brass effect corners to give additional protection to the outer edges of the album. Also available in blue, the pages are portrait mode and photographs are slipped in from the top of each pocket. 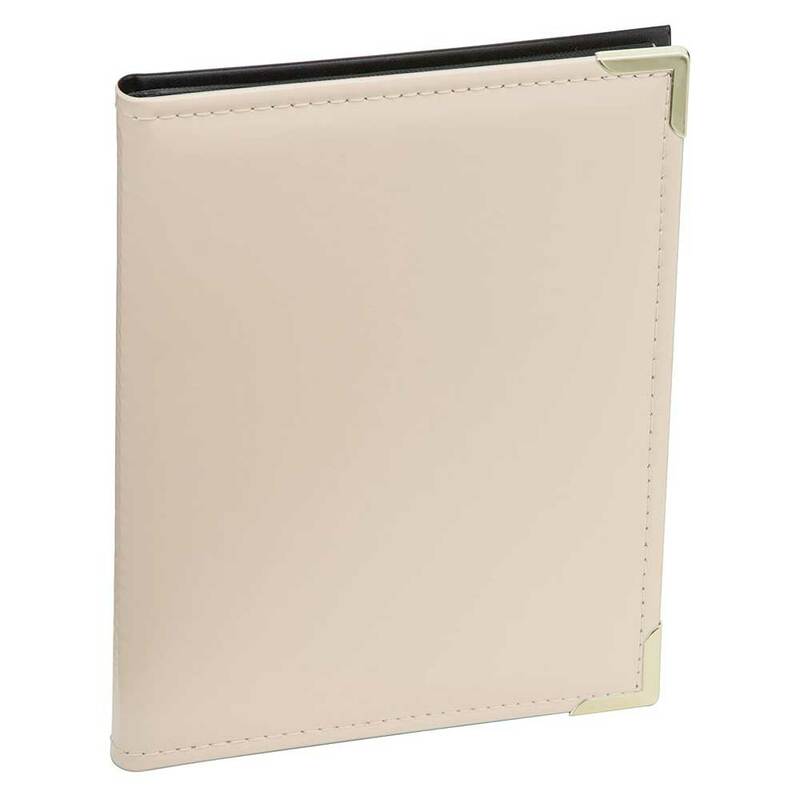 The cover is slightly padded for additional protection and has a leather effect. The cream stitching around the front edge of the album gives additional interest.